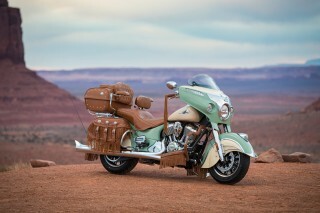 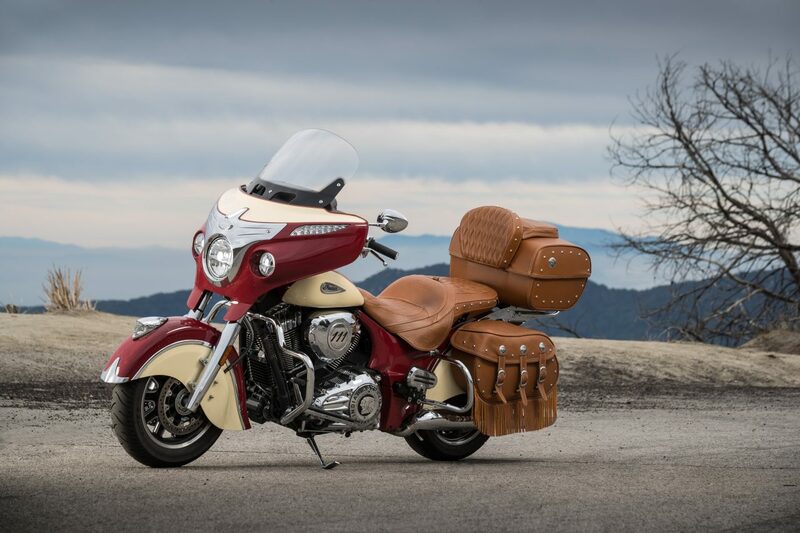 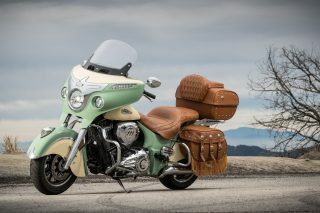 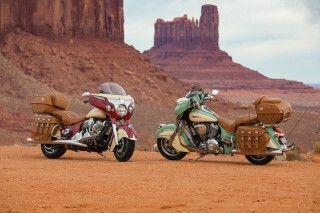 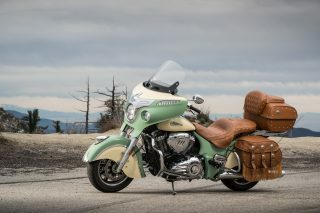 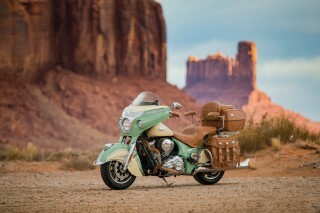 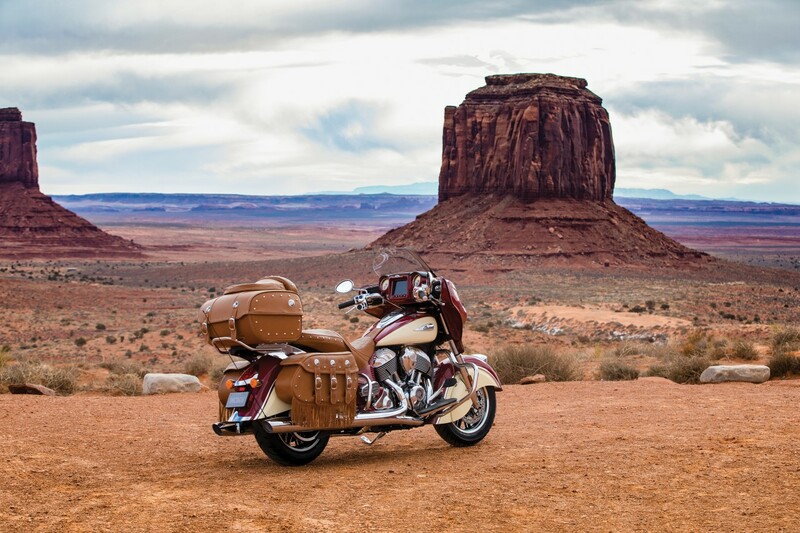 Indian Motorcycle’s newly crafted Roadmaster Classic is designed to bring back the splendour of touring across the open road. 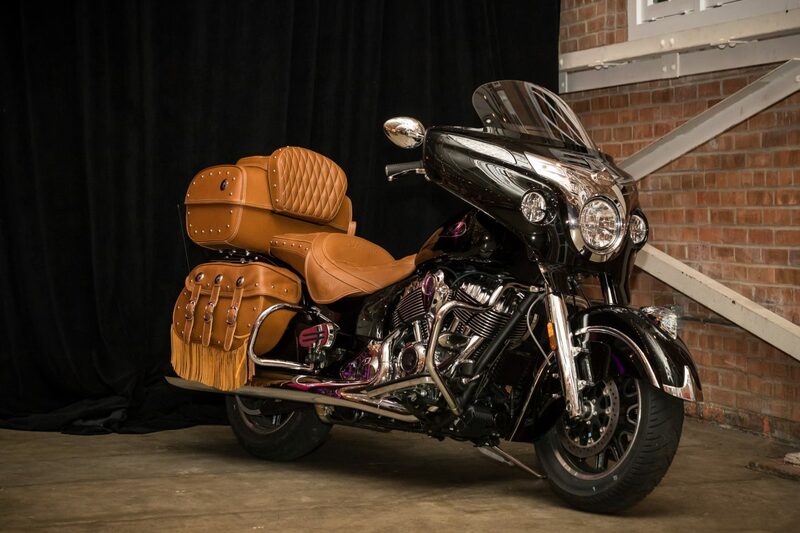 The new model takes the Roadmaster and adds leather saddlebags, a new leather trunk and all of the technology and comforts you’ve come to love such as Ride Command, Pathfinder LED headlights and individually heated seats. 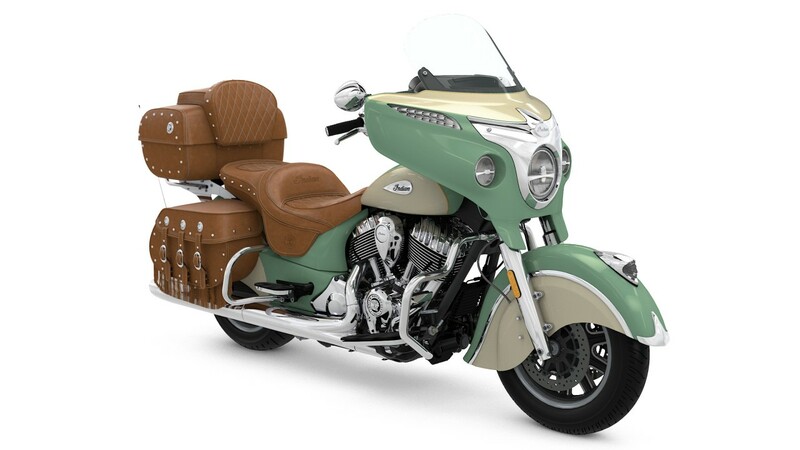 It will be on sale in three colour schemes; Thunder Black and two-tone paint options of Willow Green over Ivory Cream and Indian Motorcycle Red over Ivory Cream. There are other details that make this stand out as a classic, such as the new chrome teardrop logo tank badge, valanced fenders and leather fringe. 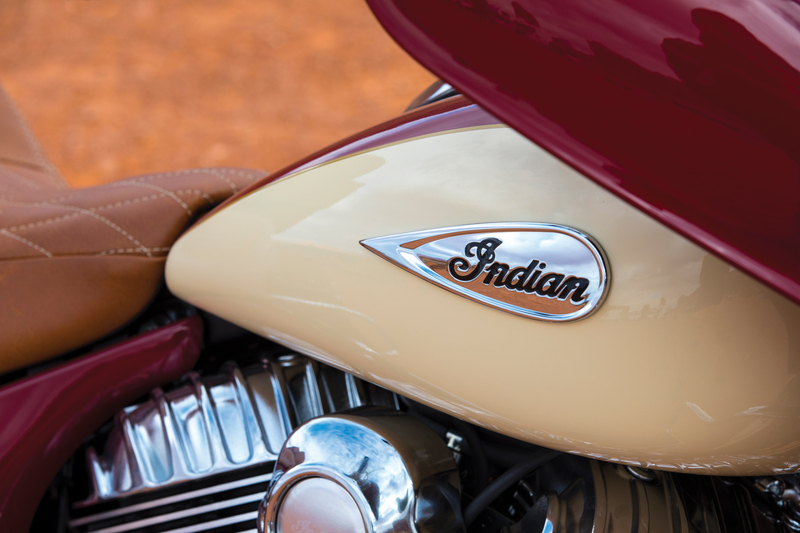 Additions like this pay homage to the iconic styling cues of past Indian models. 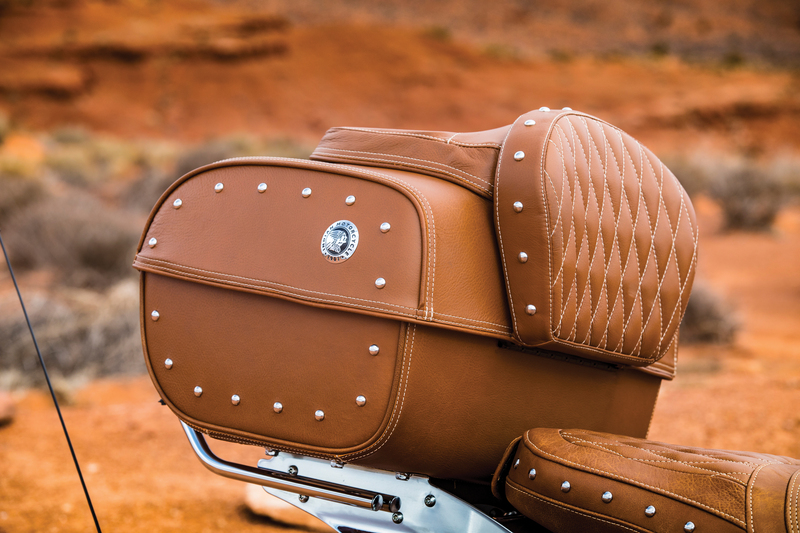 The Roadmaster Classic has eye-catching vintage style, but is blended with cutting-edge technology and comfort. It features the industry-leading Ride Command infotainment system along with ABS, cruise control, TPMS, heated seats and grips, a power adjustable windshield, adjustable passenger floorboards and keyless ignition. The easily removable leather trunk gives riders the option of a more streamlined look — perfect for shorter trips. 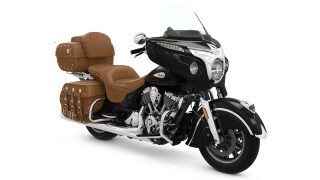 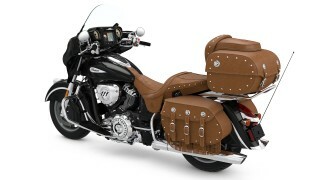 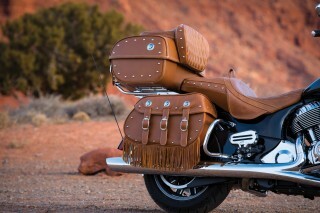 The Roadmaster Classic offers classic styling but with the ultimate in modern touring amenities. 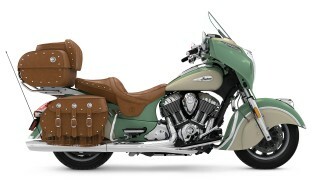 Up front, the bike is adorned with an illuminated Indian Motorcycle headdress atop a valanced fender. 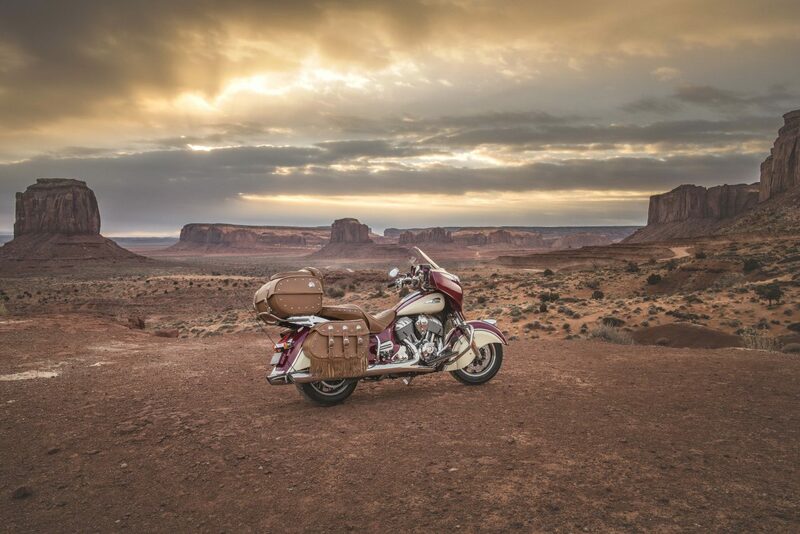 There’s a Pathfinder LED headlight and a Horizon touring windscreen that can quickly rise or lower up to four inches with the push of a button. 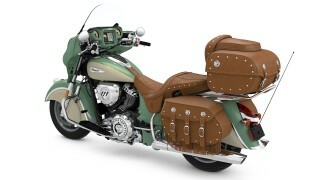 The fuel tank now has a brand new chrome teardrop tank badge and there’s a chrome centre console too. 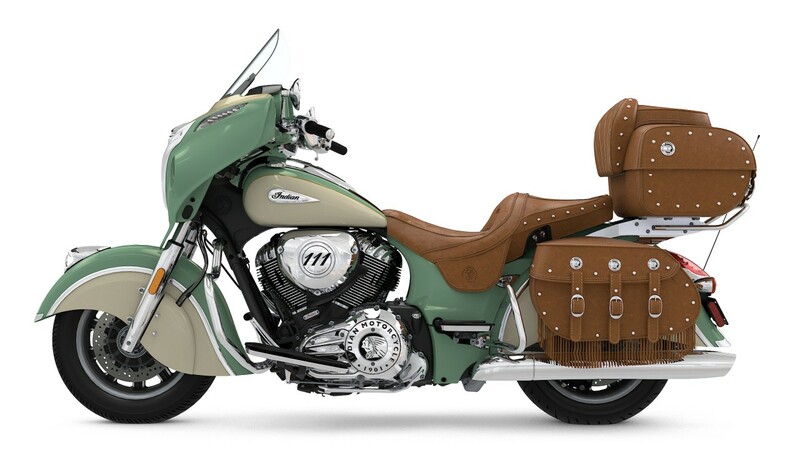 The cockpit has a fairing with a colour-matched inner dash, a 100-watt premium audio system with chrome speaker grill bezels and a glare-reducing textured black upper dash panel. 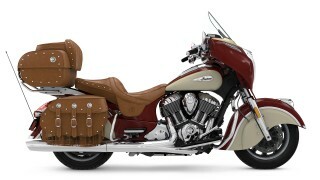 The bike also has all-chrome hand controls, complete with heated grips and the wiring is routed inside the handlebars. There are front and rear highway bars, spacious adjustable floorboards and chrome lower controls that provide plenty of room to ensure all-day comfort on even the longest of rides. 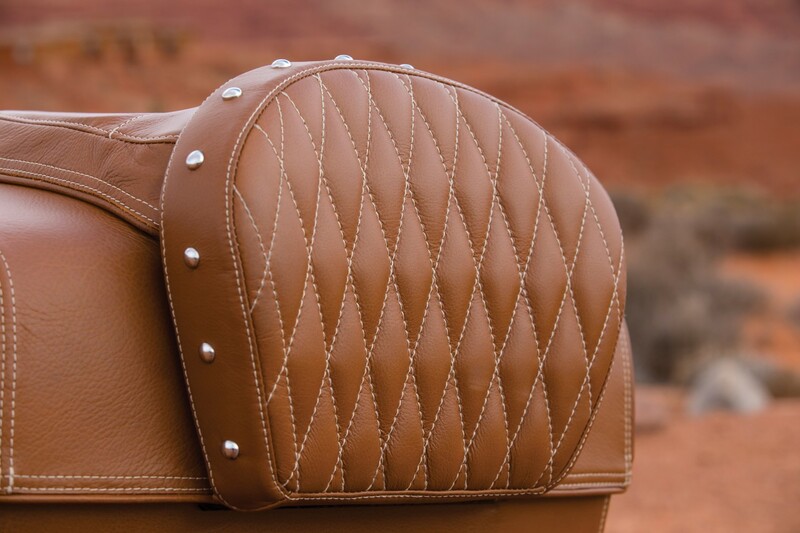 Touring luxury is further enhanced with a plush full-grain genuine Desert Tan leather two-up seat that delivers long-riding comfort and is equipped with individual, dual-mode seat heat controls for the rider and passenger. 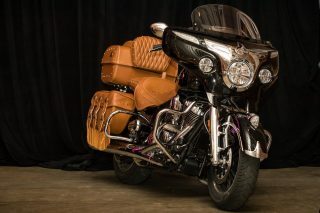 The saddle is designed for plenty of space for both people and is exceptionally comfortable for the passenger who gets a large backrest and adjustable floorboards. 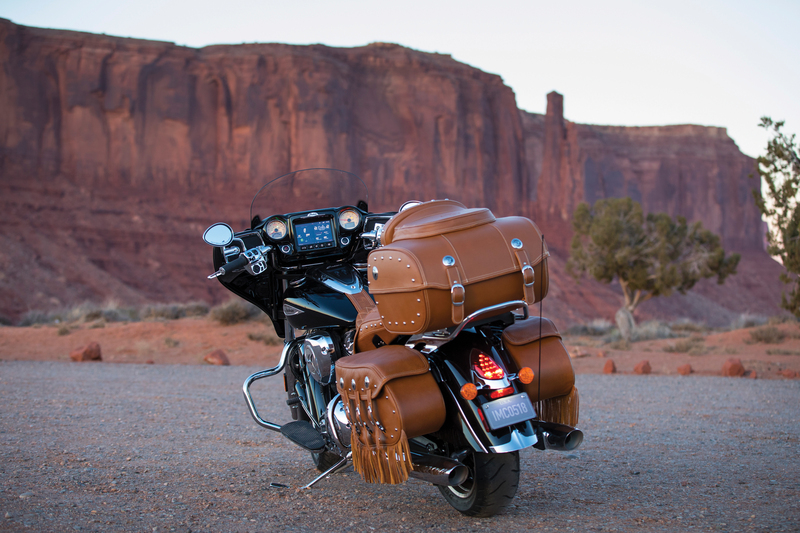 On the back, there’s 33 gallons (125 litres) of convenient cargo space in the full-grain Desert Tan leather saddlebags and a matching leather trunk that’s easily removable. 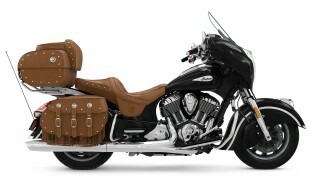 This trunk is also large enough to hold two full-faced helmets and doubles up as a passenger backrest. 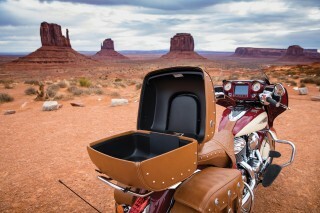 The trunk can be kept on for a full touring experience or quickly detached. 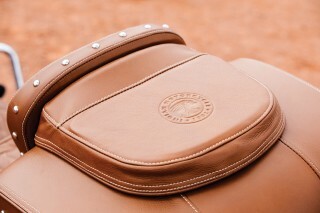 Finished with classic heritage styling, the Roadmaster Classic has genuine leather, conchos and fringe. All of the parts covered in leather such as the seat, saddlebags and trunk, are designed to withstand the elements and retain their natural beauty. 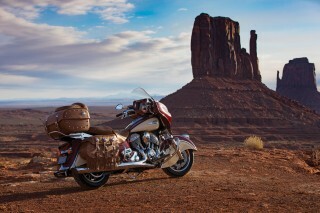 The Roadmaster Classic comes with plenty of power. Its Thunder Stroke 111 engine produces 119 ft-lbs of torque with extraordinary output at low RPM so you can accelerate effortlessly in every gear. 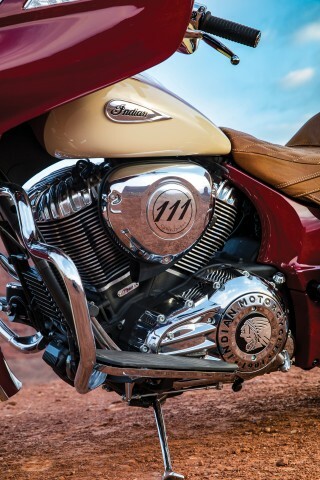 The engine itself is sculpted with multi-directional finned valve covers featuring asymmetric styling, large parallel pushrod tubes, a sculpted cam cover and a dual crossover exhaust. Noted for its smooth ride, Indian Motorcycle’s telescopic fork front and single shock rear suspension soak up the bumps with nearly five inches of travel while offering superior feedback. 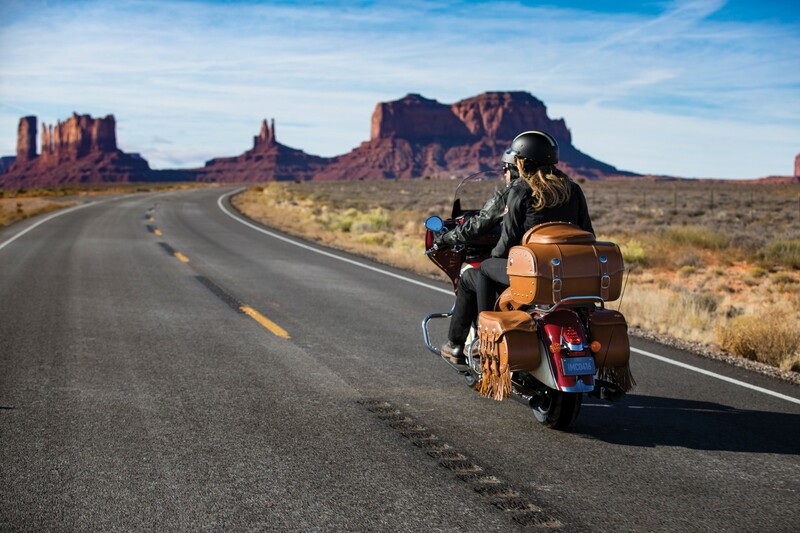 The easy-to-access rear shock is air-adjustable with an included pump and the air pressure can be easily fine-tuned to deliver the ride you want whether riding solo or two-up. 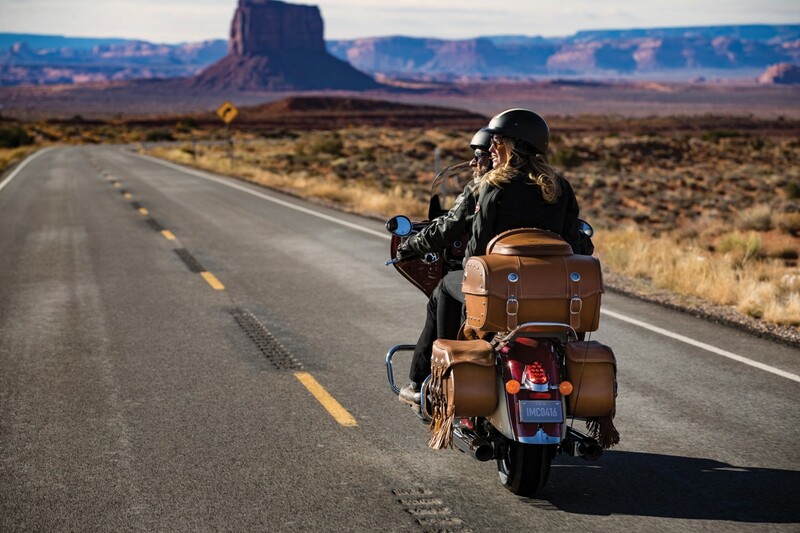 Cast 16in x 3.5in front and 16in x 5in rear wheels with tyre pressure monitoring are shod in Dunlop Elite 3 tyres to further compliment the smooth ride. Confident control demands balanced braking and that’s exactly what you’ll find on the Roadmaster Classic. 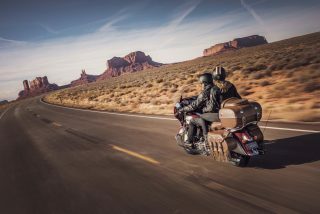 It utilises dual 300mm semi-floating rotors with four-piston calipers up front and a single 300mm semi-floating rotor with two-piston caliper in the rear. 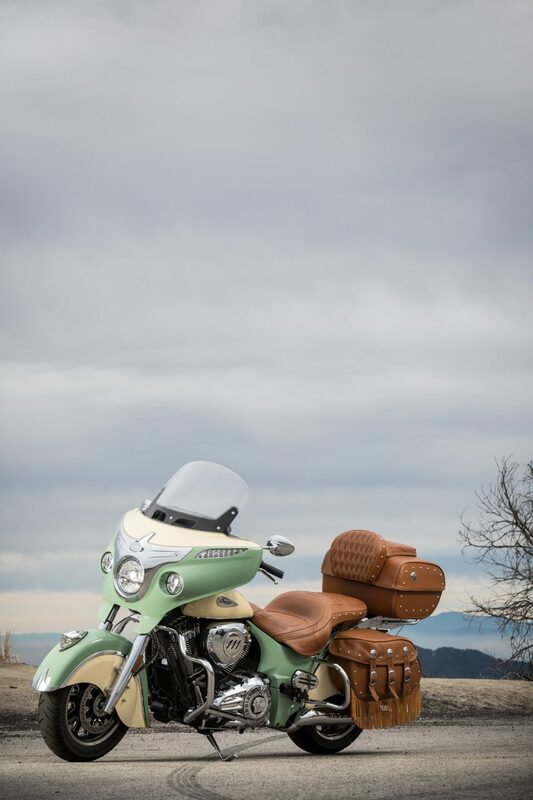 Activated via multi-position-adjustable front and well-tuned rear brake levers acting through stainless steel reinforced lines, both front and rear brakes feature a high-resolution anti-lock brake system (ABS). Advanced Rider Assistance Systems standard on the Roadmaster Classic include keyless ignition with a proximity fob used to start the bike, ABS braking to help retain control in any situation, a tyre pressure monitoring system (TPMS), automotive-quality throttle by wire cruise control for relaxed highway journeys, heated grips and seats, and Indian Motorcycle’s much-lauded Ride Command infotainment system that can be customised to show loads of ride and vehicle data. Pinch. Swipe. 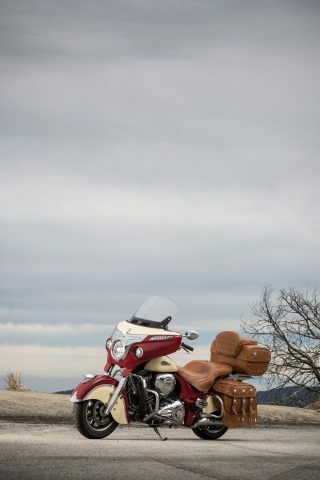 Tap. All without removing your gloves. Offering the industry’s largest, fastest, and most customisable infotainment system, the seven-inch Ride Command system allows you to get turn-by-turn directions, quickly navigate to points of interest, play Bluetooth audio, check vehicle information and status, plus a whole lot more via its easy to use interface. And thanks to split-screen technology, you can easily customise three rider screens to display the information that matters to you most. Accessorise the Roadmaster Classic to your specific tastes with a wealth of additional leather and chrome accessories including Passenger Armrests and a Trunk Mat specifically designed for the new model. Enhance the riding experience with a Touring or Flare Windshield, Lower Fairings, Genuine Leather Extended Reach Seat and Infinite Highway Pegs. Upgrade with an Integrated Garage Door Opener or Premium Touring Console. Genuine Leather Accessories include: Grip, Lever, Highway Bar and Floorboard Wraps, Tank Pouch, Rear Highway Bar Bag, Mud Flaps and Saddlebag Fringe.